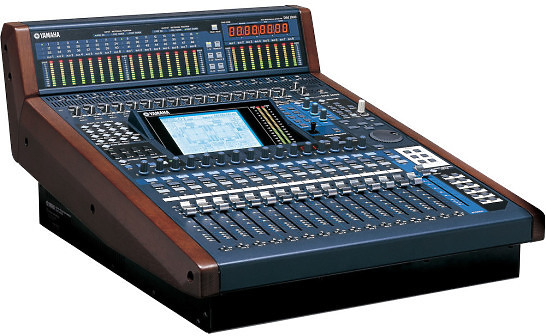 The original compact DM1000 digital console continued the tradition of flawless quality found in its sister models, the DM2000 and 02R96. Now they've gone even further, adding five impressive plug-in packages to create the DM1000VCM. 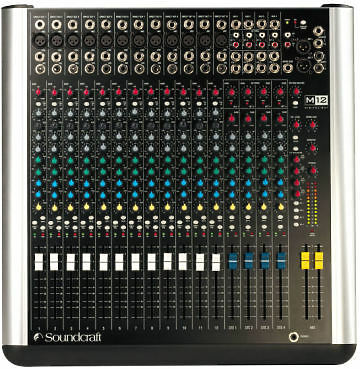 The 664 Field Production Mixer is the flagship in Sound Devices’ line of portable audio mixers. It has 12 analogue inputs, four output buses, and records these 16 tracks to both CF and SD cards. Our Tait Base station is flight cased with connection panel and integral mixer to adjust the balance between Talkback, Talk through and Programme Sound. The unit can be placed horizontally or vertically allowing a smaller footprint. We offer aerials with clips or are magnetic or larger Jaybeam antennas for wider coverage. The Soundcraft M12 is ideal for recording and live sound applications, delivering a great-sounding, reliable performance, session after session, mix after mix. Clever, robust design and integral rack mounting system equipping the M Series M12 instantly for a life on the road. The Spirit M12 is exceptionally easy to use. The control surface will be immediately familiar to anyone who has used a mixer before and will quickly become second nature even to a novice. Send high quality audio & timecode to any ZaxNet receiver. This all metal lightweight yet extremely rugged body-pack transmitter is ideal for broadcast & Audio/Video acquisition. An AF frequency response of 25 to 20,000 Hz, delivers an un-compromised audio bandwidth. At Zoom they've been building innovative, great-sounding products for the past thirty years. But with the revolutionary H6—the most versatile portable recorder ever—the bar is raised further still. Zaxcom's all new digital modulation and components gives the QRX200 significantly enhanced distance and range.